EASY TO RESTORE AND EASY TO LOVE. Phoenix LTC is the newest and fastest growing LTC med cart company because we are different from what you will find in the market. We appreciate it when a client takes time from their busy day to communicate with us. On our survey we asked “How likely is it that you would recommend Phoenix LTC Med Carts to a friend or colleague?” We are flattered to consistently score seven or better on 95% of surveys. Phoenix LTC met 98.8% of our committed ship dates in 2017. On occasion when we miss a committed ship-date, we contact our client with a status update and make expedited arrangements, if needed, at our expense. Long-term care pharmacies are under significant pressure to reduce stat-pharmacy expenditures while searching for innovative solutions for stat dose services to retain and attract new clients. The StatSafe is our inexpensive and ingenious remedy to securely and safely dispense stat and first-dose meds. Our med carts are built on a basic frame that is engineered to be customizable, reconfigurable and maintainable using just a few common hand tools. 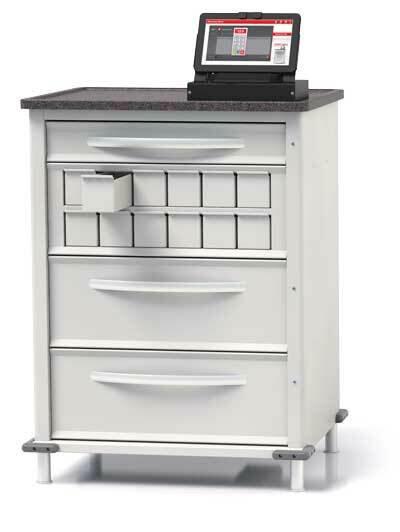 The Phoenix Series frame will easily accommodate multiple drawer size combinations. Phoenix LTC Med Carts are available in a variety of finishes. Choose from our standard, durable powder-coated Neutral Creme finish or a selection of Homewood finishes including Manhattan Walnut, Carmine Cherry and Natural Oak. Wood textured med carts include Maui Granite tops. Our medication carts offer many security options from a simple, high quality key lock to internal narc boxes and keyless entry systems. Also available with proximity sensor. Not only can you customize the size and order of your drawers in our Phoenix Series med carts, you can also configure your drawer utilizing the included dividers and subdividers. 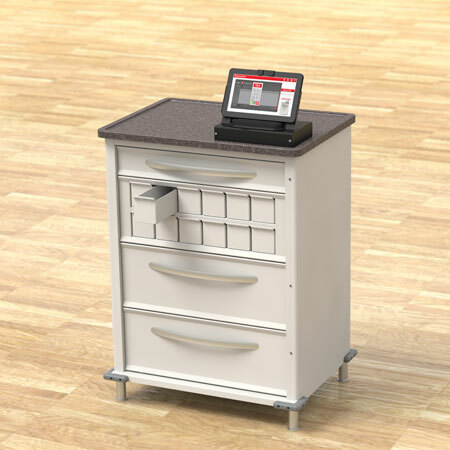 Our medication carts are available with many accessories, assuring complete functionality. Side panels are pre-drilled to allow mounting of accessories wherever they best suit your needs. 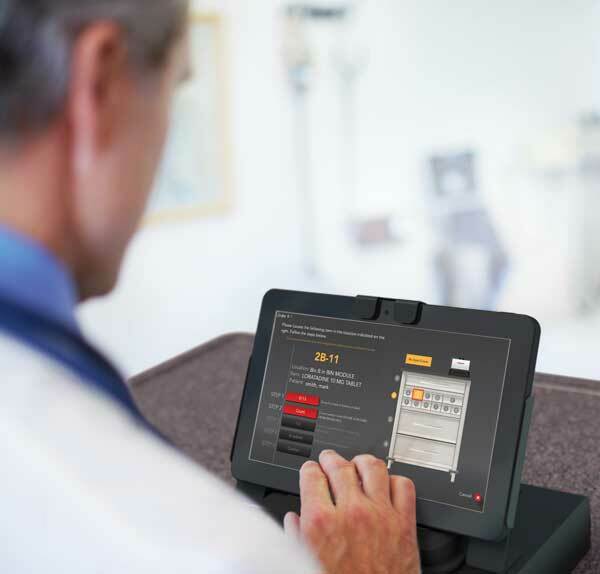 The simplest, easy to use medication management system allows LTC facilities provide total accountability for medication dispensation and inventory. The system is wirelessly linked to the pharmacy and does not require complicated networking setup.